In need of a summer holiday to remember but not sure where to go? Why not look to the stars for inspiration? Constantly on the go, a sightseeing holiday will give you the excitement you crave. Hop on a plane to Rome and you’ll be able to soak up the sun while exploring the Colosseum, Vatican, and St. Peter’s Basilica. Whether you’re exploring this beautiful Italian city with friend, partner or family, you’re sure to return home with countless tales to tell. After spending the first six months of the year working hard, you’re desperate for a break. 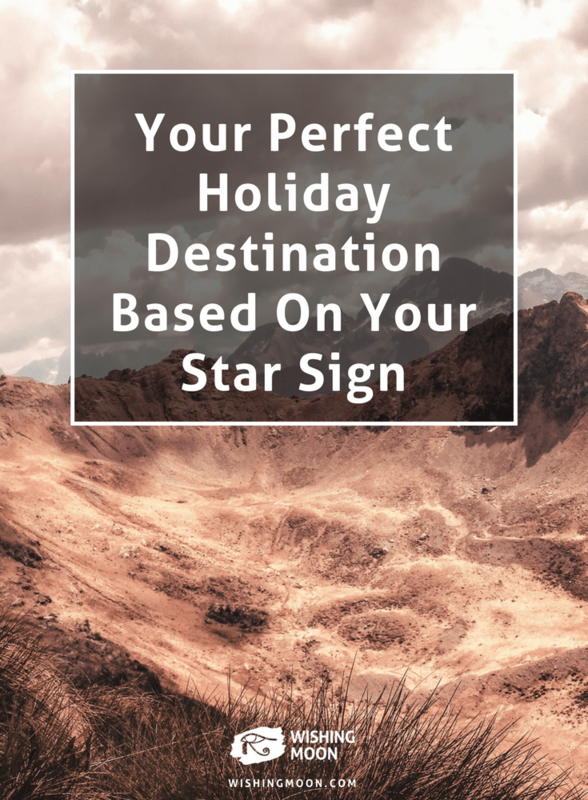 And although you love lounging on a beach as much as the next person, a lazy break just won’t quite cut it this summer, Taurus. Instead, hop on a plane to the Big Apple and you’re sure to have an action-packed week. From climbing the Empire State Building to admiring the stunning Statue of Liberty, you’ll be amazed how much there is to see and do. Whether you’re dancing in a club or chatting to your friends at a BBQ, you can’t help but be the life and soul of every party. So if you’re looking for the perfect holiday destination, give Ibiza a go this summer. You know it makes sense. Whether you’re dreaming of dancing the night away or lounging by the pool cocktail-in-hand, you’ll be in your element. Do you feel like your life is missing some magic? Head over to Orlando, Florida and explore everything from the Magic Kingdom to the Islands of Adventure. If you feel like you’ve spent the last few months surrounded by seriousness, this is the perfect time to let your inner child run riot and remind yourself how glorious the world can be. Feed your creativity with a trip to Barcelona, Leo. From exploring Gaudi’s breathtaking Sagrada Familia to lounging around Parc Guell, you’ll have a fun-filled week packed with art and culture. Whether you take your friends or embark on a romantic city break, this is the perfect opportunity to strengthen your relationships as well as your art and history knowledge. When it comes to new experiences, there’s nothing you love more than delving into a new environment and immersing yourself in a new culture and way of life. This summer, visit Sardinia for the trip of a lifetime. 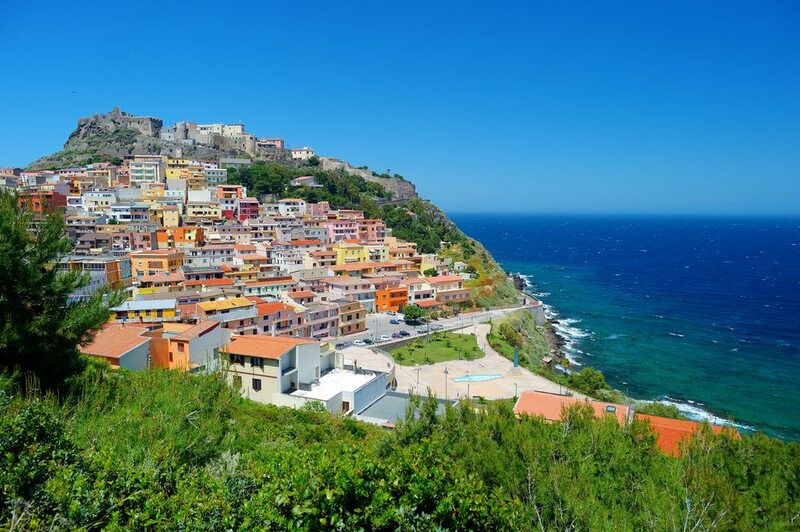 This Italian city has some of the Mediterranean’s most seductive beaches, perfect for long evening strolls as the sun sets. Although you often pretend to be tough, you’re a real softie at heart and this break will give your romantic side a chance to shine. Don’t settle for a lazy beach holiday this summer, Libra, you need so much more than that! San Francisco could offer you the perfect mix of sun, sand and sightseeing. Snap a selfie on Golden Gate Bridge, expand your history knowledge at Alcatraz Island and eat some delicious seafood at Fisherman’s Wharf. Have you been feeling stressed lately? If so, you deserve a break, Scorpio. The stunning Gran Canaria is sure to give you the dose of sun you need. Situated off northwestern Africa, it’s known for its black lava and white sand beaches. Switch off your devices and give yourself a week-long technology break. A social media detox will leave you returning home feeling refreshed and energised. A trip to Paris could unlock a world of romance this summer, Sagittarius. Already in a relationship? Enjoy a picnic by the Eiffel Tower and explore Musee du Louvre for an experience that will stay with you for the rest of your life. If you’re single and looking for love, the most romantic city in the world could see you running into someone special. Book a return ticket for one and look out for a fellow tourist exploring the city’s cultural hot spots solo. Whether you’re booking a long weekend away with your partner or looking to explore somewhere amazing with friends, Berlin could be the cultural haven you deserve. Have a BBQ in the park, enjoy a boat trip down the Spree, visit a rooftop bar and watch the sunset with a pint in hand. It’s about time you put your feet up, Aquarius. You’ve had a busy few months and although you have big ambitions to succeed, if you don’t give yourself a break, you’ll snap! A trip to Crete could be just what the doctor ordered. This beautiful Greek island is home to sandy beaches, luxurious lagoons, and fascinating castles begging to be explored. Copenhagen didn’t win the European Capital of Culture 2017 award for nothing. Denmark’s capital is the perfect place for you to unwind this summer. After the year you’ve had, chances are you’re in need of a nice escape and this creative city packed with character could give you the fresh perspective you long for.